One of my friends from school had always been interested in Blythe. She first saw a doll because of me (my wallet has Blythe on it!) and then she’d ask questions about what I was knitting (usually cardigans, sometimes dresses). And then I eventually brought a doll onto campus to show her and she was taken in by the click on the eye mechanism and the pull string and the pretty eye chips (I cheated and I’d brought my Simply Peppermint, Tertiary Jane, who has had some chip changes!). She was particularly interested in the little tiny, tiny shoes and thought that they were so adorable. My friend then went on vacation in Asia, happened across a store full of Blythes and she bought one with her spending money. At the same store, she also bought a bunch of doll shoes and clothes for her new-found love. Of course, now that she’s back in Canada, she’s all very woeful woecakes about how much money she had spent on a doll and a wardrobe and shoes for said doll. I’m trying my best to convince her to go onto Flickr and Blythe related forums and to even attend a local meet! So far, no such luck. Her big complaint right now is “Why didn’t you tell me how expensive this hobby was? !” which leads to crickets on the telephone while I’m talking to her because I did tell her how expensive the hobby was. 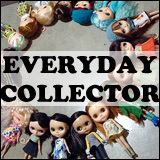 I mentioned the costs of shoes, the dolls themselves, the vintage Kenners that are worth a pretty penny. I never once told her that it was a cheap hobby. And yet, she’s being all woeful over this. So I offered to buy the doll (and the things that she had bought) from her, so she could recoup some of the money. No such luck, she’s officially been converted… Even if she is still in a bit of a sticker shock over the costs of the hobby and how much she dropped on a dolly (and cute shoes!). Have you ever successfully converted someone into the Blythe hobby? Yes! I was all gushy about my Moofala custom Amaryllis and showed my friend the Flickr adoption photo and she just MELTED! The same week, I sold my iXtee custom to this friend’s daughter and within a month she had Raspberry Sorbet, with a plan to get the “Friends” girls in Bythe form! She is more downkey than I, but she accompanied me to a local dolly meet and thoroughly enjoyed herself (went mad buying shoes and clothes from the sundries basket)! I just have to get her onto Flickr, now! I used to think it was an expensive hobby as well, but then I started to look at all my daughters American Girl Dolls and their stuff and started adding up all the prices I have spent. Now I realize that it really isn’t that expensive! That’s so true about the American Girl dolls! Same goes for Build a Bear. Whenever I am trying to explain to someone about how much Blythe costs I always compare it to buying video games (something a lot of people can relate to). As far as converting..both my daughters are rabid Blythe fans now. 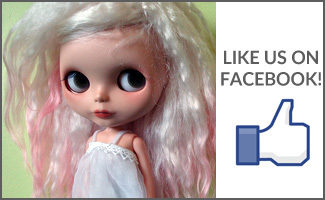 They have zero interest in any other type of doll and are always looking at new girls, custom girls, cute stock, etc. with me. I think we have 13 dolls between us now with another (shhh) on the way. Poor DH just shakes his head and sighs, lol. 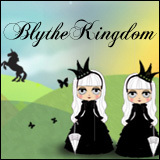 hello i my self came across blythe by chance on internet and it was love at first sight…i have three in a very short time…and indeed it is an expensive hobby…what i cant understand is why you cant find a store outside Asia? why they arent imported in Europe? does anyone know? I converted three so far…the first is now wrapped up in baby stuff, and is losing interest fast, the second is going to Blythe Con with me and has six dolls now, and the third just got her second doll. 🙂 It is so much fun to see friends of yours from “real life” get into the hobby!